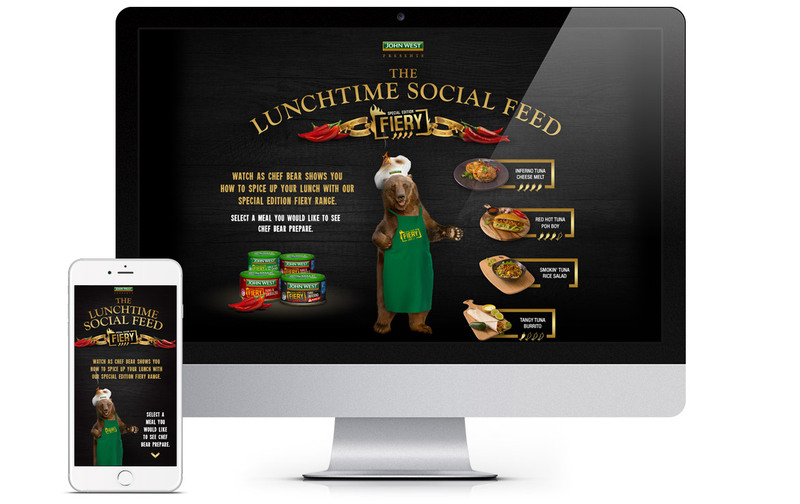 We launched an online campaign for the new John West Fiery Range fronted by an unlikely celebrity chef – the brand’s much-loved mascot, a Kodiak bear. The Lunchtime Social Feed saw ‘Chef Bear’ prepare four recipes, with the kitchen mayhem producing results that only a wild animal could achieve. The idea was very simple. People like watching cooking shows and people like wild animals. We combined the two with some pretty entertaining results. And with nearly 2 million eyeballs on the films and unprecedented shares for the brand in just one week, it struck a chord. Oh, and no animals were harmed when filming…. just a couple of avocados.